Bank of Taiwan guard Chien Ming-fu, who was named as a Team Red reserve in the 2008 SBL All-Star Game which will be played Saturday, was replaced by his teammate Chang Bo-sheng. Chang will also replace Chien in the Three-point Shootout. 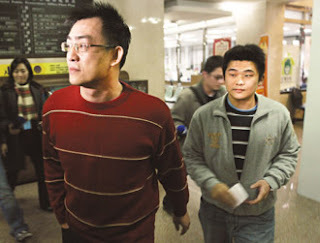 Chien and former BOT head coach Wei Chen-ming were involved in a graft case and appeared in court Feb. 20. A number of BOT players were also involved in the case. The graft case was the latest of a series of scandals and legal cases regarding SBL teams and players during the last two months, during which the image of this five-year-old league had taken a huge hit.